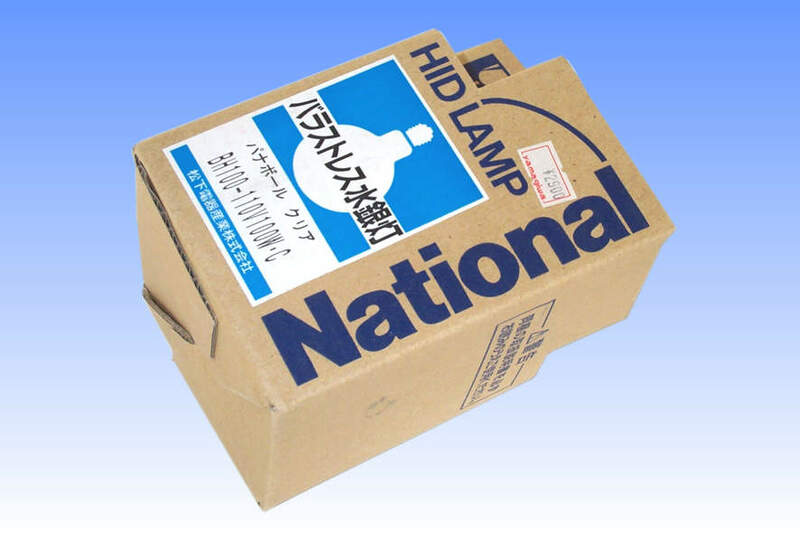 As the last remaining producer of self ballasted mercury lamps in Japan, this lamp was in fact made for Matsushita by Iwasaki Electric Co. 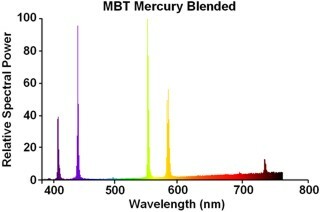 In common with most other countries having warm climates, the cool white light of mercury lamps is strongly favoured in Japan and accounts for about 60% of all exterior lighting. 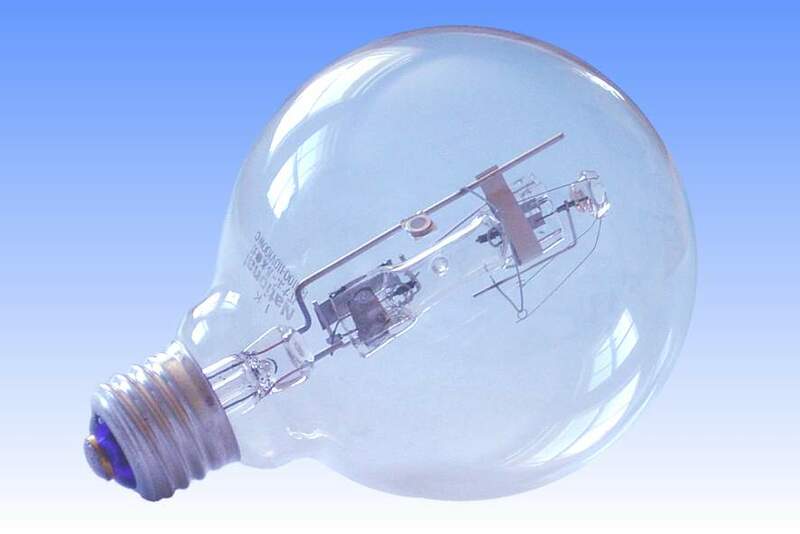 The same cool white light is also highly desirable in locations where standard incandescent lamps would normally be found, and to cater for this application the Japanese produce a wide range of self-ballasted mercury lamps which can easily be substituted for filament sources. The principal application of this lamp is in decorative outdoor lanterns found in gardens, and in simple luminaires to illuminate goods often arranged outside shop fronts. A phosphor coated version is also produced where the increased diffusion delivers a softer light with less glare, but the higher colour temperature of this clear lamp is preferred in general. Both types are widely sold in ordinary shops. In Japan the mains electricity is supplied at 100 Volts, and after the volt drop across the ballast filament this is not sufficiently high to allow the arc tube to ignite, even with the standard third auxiliary electrode. 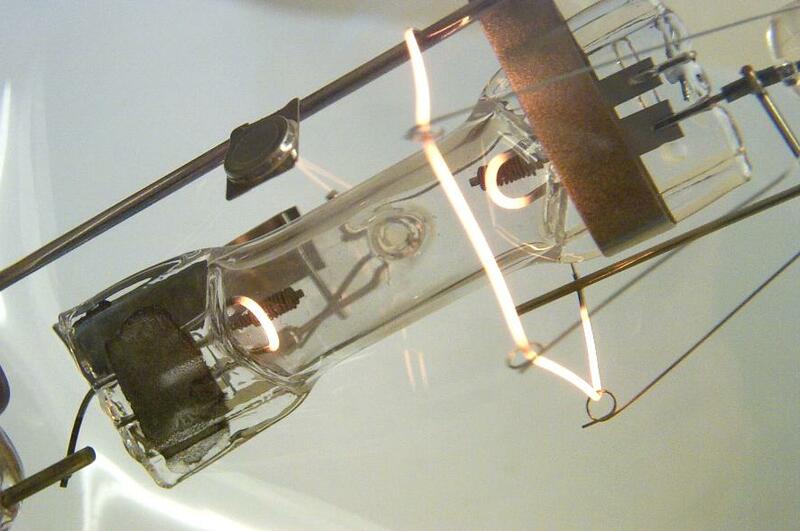 The auxiliary electrodes in this lamp take the form of small incandescent filaments at each end of the arc tube rather than the conventional straight electrode employed in the rest of the world. 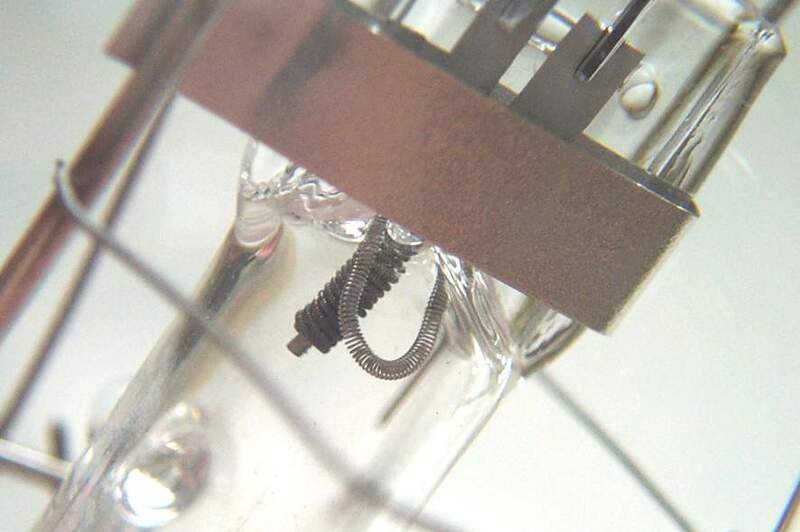 After turning on the lamp, these filaments light up in series with the main ballast filament, causing thermionic emission to take place within the arc tube. After a few seconds a bi-metal switch heats up and breaks the circuit through the preheating electrodes. The discharge then strikes across the arc tube, ballasted of course by the main filament.